Ginger beer is one of my all time fave nonalcoholic drinks. 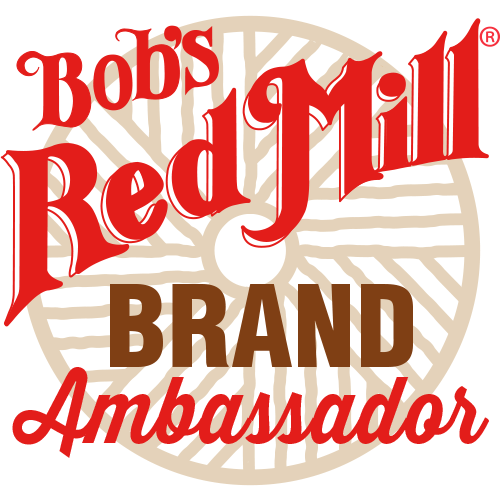 Naturally gluten free and SO GOOD! The sharp ginger flavor, not quite as sweet as ginger ale, but with that fresh ginger bite. Now, not all ginger beers are made the same. Some are stronger than others. My go-to is Bundaberg’s ginger beer. It’s made in Australia, comes in these really cool bottles and makes incredible Moscow Mules. 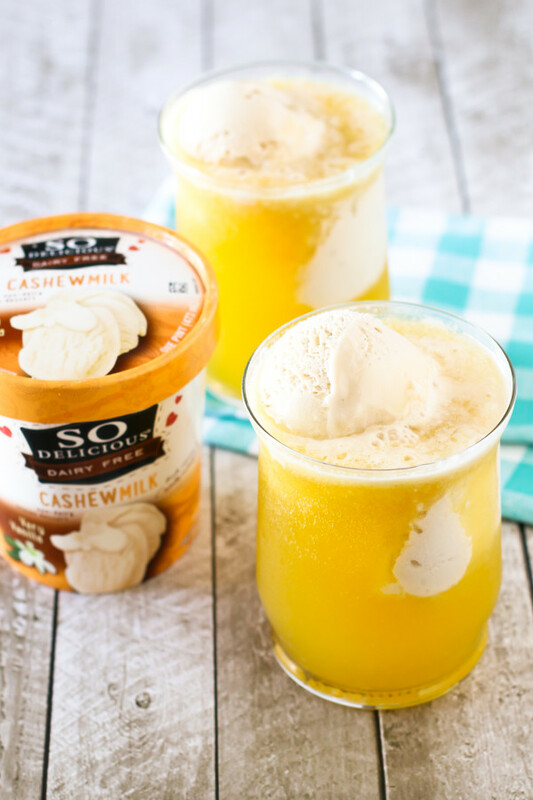 The combination of fizzy ginger beer, sweet mango juice and cashew milk ice cream, this float knows what’s up! Cashew milk ice cream? YES! So Delicious Dairy Free cashew milk ice cream is the newest addition to their line of dairy free ice creams. It’s literally the creamiest, most like dairy ice cream I have ever had! Made with cashew milk, it has such a velvety texture and rich flavor. The very vanilla is great for ice cream floats, ice cream sundaes or ice cream sandwiches. If you can get your hands on it, buy it! It’s amazingness will not let you down. 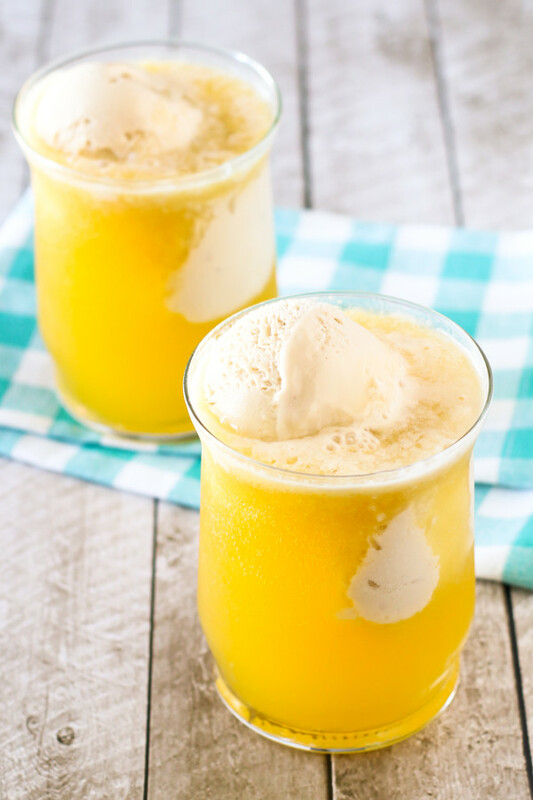 These mango ginger beer float screams summertime and is just waiting for you take a sip. Party it up with these fun nonalcoholic drinks! Pour 1/4 cup mango juice into each glass jar. Top with 1 cup ginger beer. Stir. Add 2 scoops cashew milk ice cream to each glass. Enjoy! This post was sponsored by So Delicious Dairy Free. All opinions are my own.